• Solar-Powered Harley Quinn Body Knocker: Body dances back and forth for endless amusement, no batteries required. Approx. 8” tall. 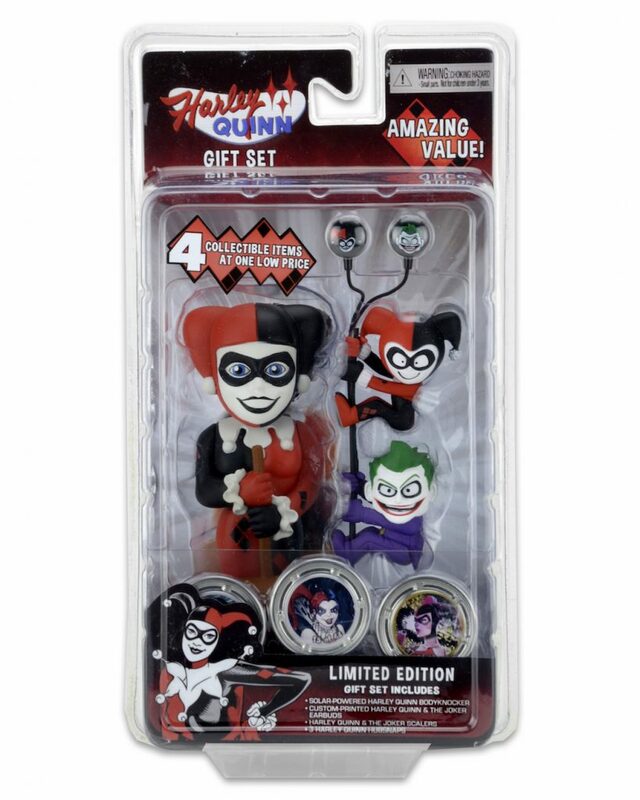 • Custom-Printed Harley Quinn Earbuds: In-ear headphones feature printed art. 45” cord. 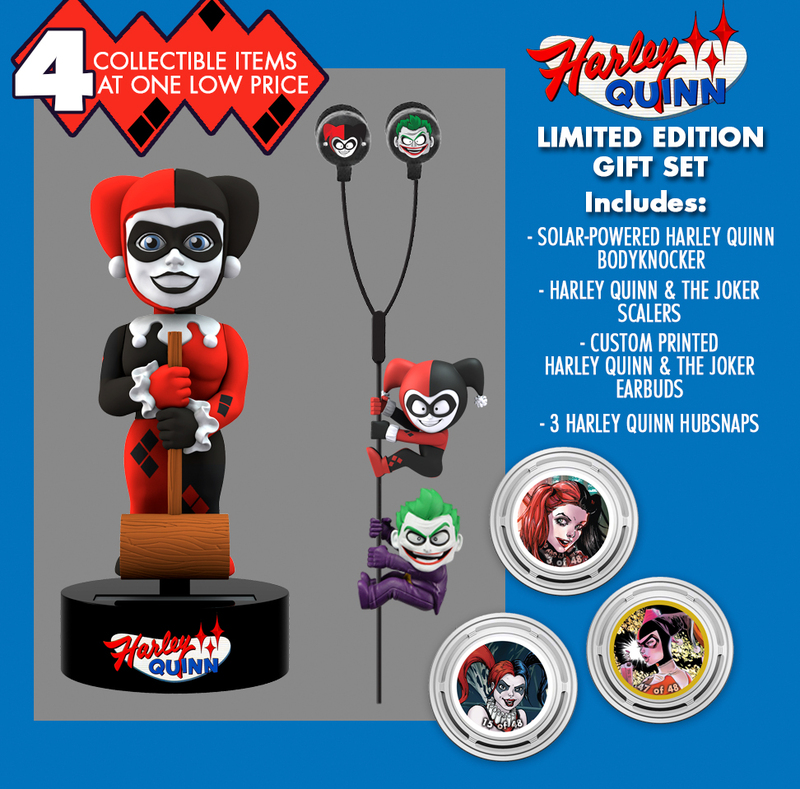 • Harley Quinn and Joker Scalers: These 2” mini characters attach to headphone cords, device cables and more for on-the-go fun. 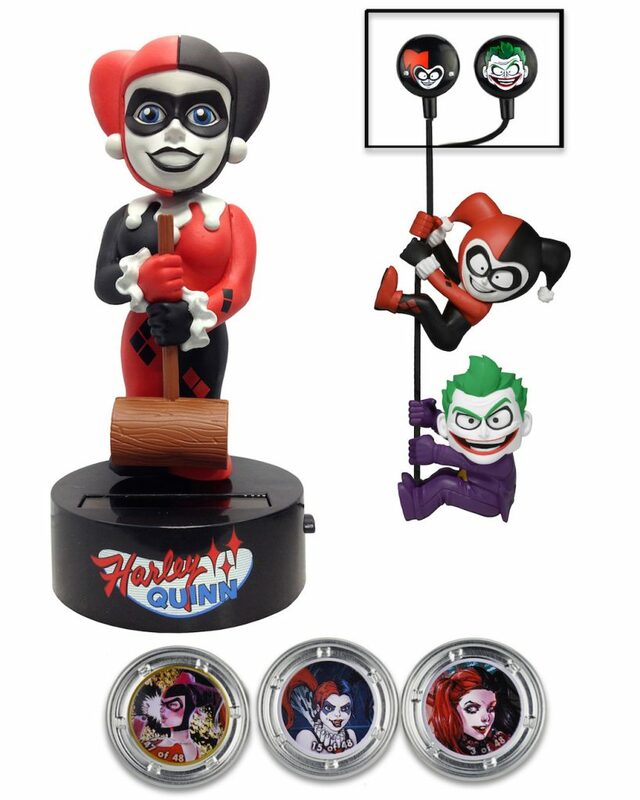 • 3 Harley Quinn HUBSNAPS: Play games with friends or get things snappin’ solo with these fun metal clickers.